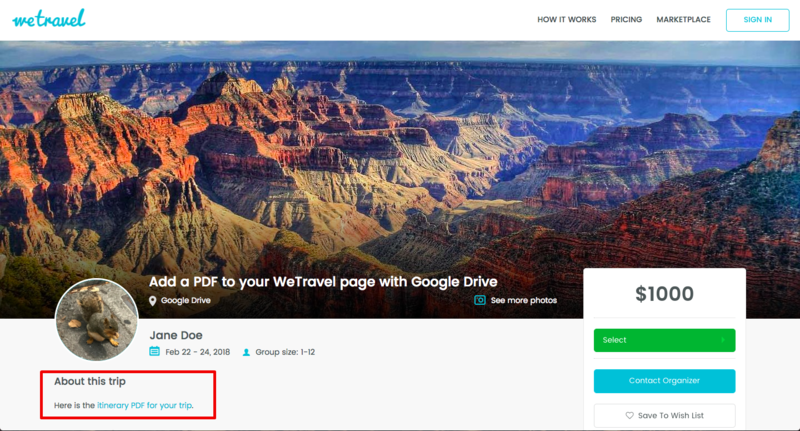 Learn how to add a PDF to your WeTravel page by using a shareable Google Drive link. Tip: This does not only work for PDFs but for any files (videos, spreadsheets, etc..). 1. 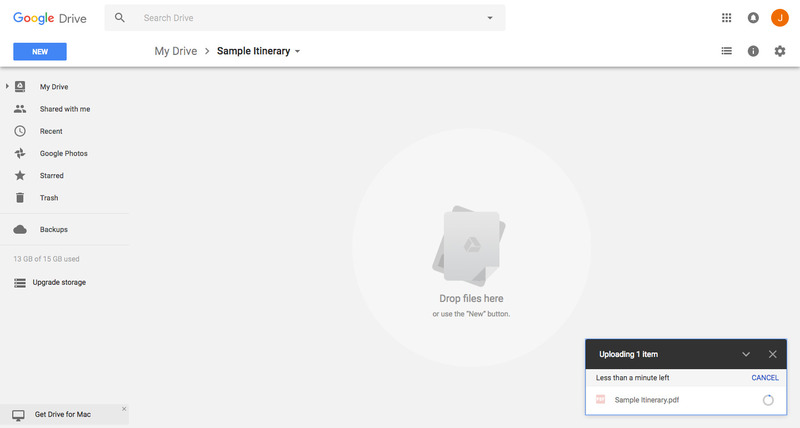 Log in to Google and go to Google Drive by clicking the icon in the top right corner. Note: You need a Google or Gmail Account. 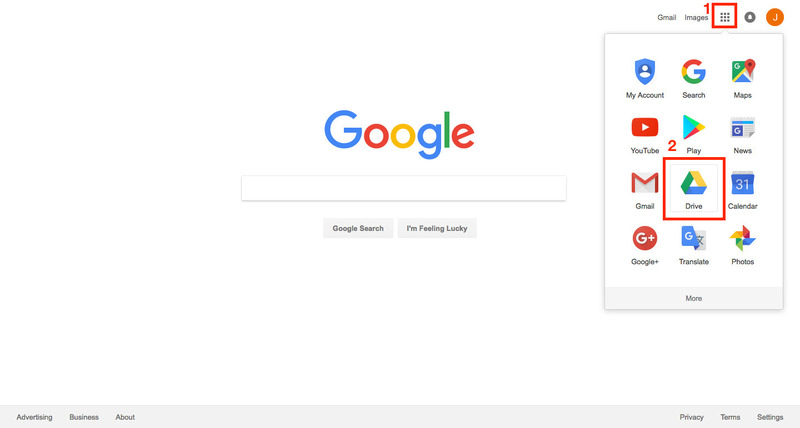 You can sign up for free at google.com. 3. 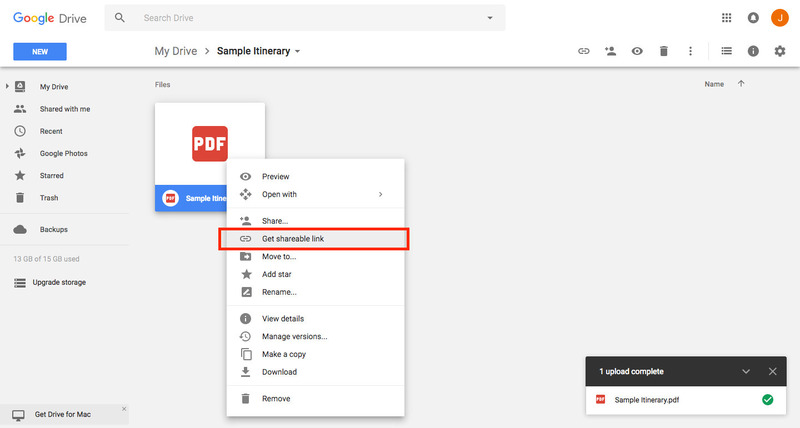 Right-click on the PDF file you just uploaded and click "Get shareable link"
4. Copy the link that is displayed. 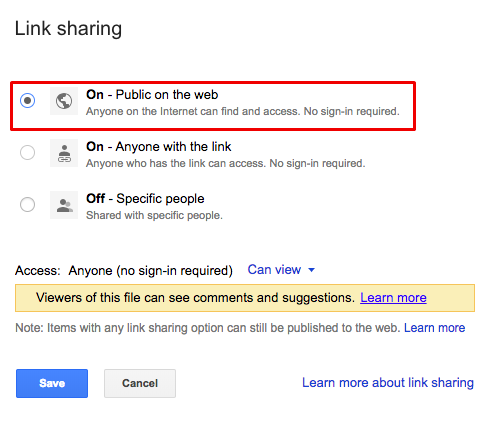 You can also get that link by clicking on "Share" or "Sharing Settings". Please make sure that the file is to open to the public. 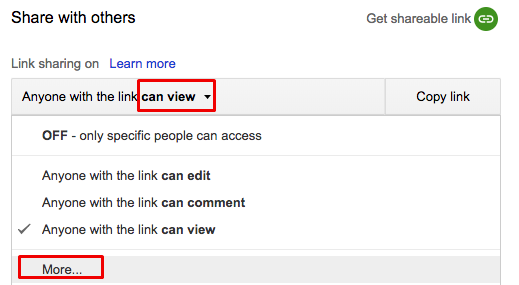 To do that, click on "Sharing settings" under the shareable link. Click on the arrow and then "More". Please choose that the file is public. 5. 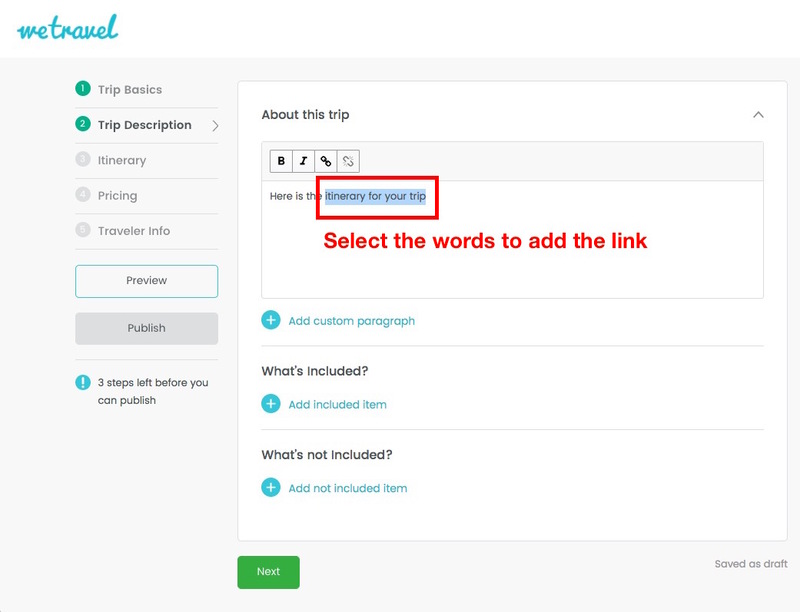 Go to your WeTravel Trip Builder and go to section 2 "Trip Description". With your mouse, select the words that you want to be the active link. 6. 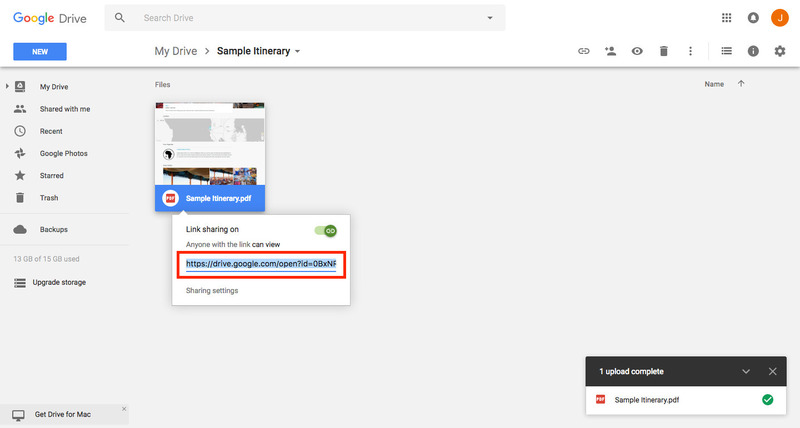 Click on the link icon above the text field (marked red) and insert the Google link that you copied in step 4. Then, click on the check-mark. 7. That's it, your link is now added to your trip page. 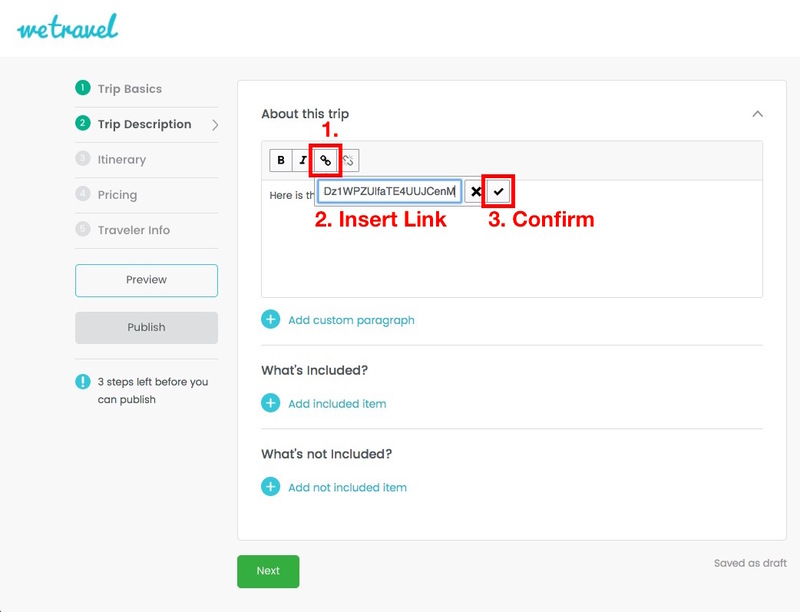 Note: If your trip is already published, remember to press "Publish" to update your trip.